This 10ft RP-SMA to RP-SMA adapter Cable (M/F) lets you extend wireless antenna range without compromising on performance, by extending the cable length of any antenna or wireless device that uses a RP-SMA connector. 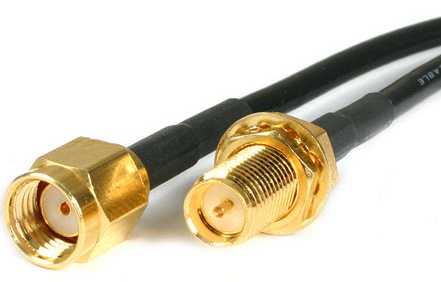 This 10ft RP-SMA to SMA adapter Cable (M/F) lets you extend wireless antenna range without compromising on performance, by extending the cable length of any antenna or wireless device that uses a RP-SMA connector. The RP-SMA/SMA adapter features high quality construction that ensures flexibility without reducing performance, allowing wireless antenna installation anywhere it's needed.